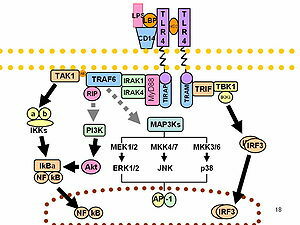 Transthyretin (TTR) is a 55-kDa protein secreted mainly by the choroid plexus and the liver. 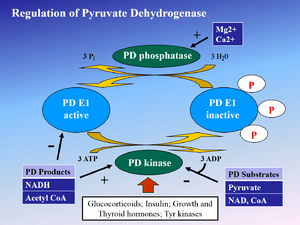 Whereas its intracerebral production appears as a stable secretory process allowing even distribution of intrathecal thyroid hormones, its hepatic synthesis is influenced by nutritional and inflammatory circumstances working concomitantly. Both morbid conditions are governed by distinct pathogenic mechanisms leading to the reduction in size of lean body mass (LBM). The liver production of TTR integrates the dietary and stressful components of any disease spectrum, explaining why it is the sole plasma protein whose evolutionary patterns closely follow the shape outlined by LBM fluctuations. 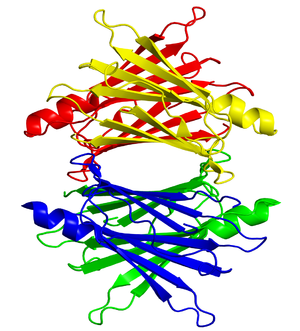 Serial measurement of TTR therefore provides unequalled information on the alterations affecting overall protein nutritional status. Recent advances in TTR physiopathology emphasize the detecting power and preventive role played by the protein in hyperhomocysteinemic states, acquired metabolic disorders currently ascribed to dietary restriction in water-soluble vitamins. Sulfur (S)-deficiency is proposed as an additional causal factor in the sizeable proportion of hyperhomocysteinemic patients characterized by adequate vitamin intake but experiencing varying degrees of nitrogen (N)-depletion. Owing to the fact that N and S coexist in plant and animal tissues within tightly related concentrations, decreasing LBM as an effect of dietary shortage and/or excessive hypercatabolic losses induces proportionate S-losses. Regardless of water-soluble vitamin status, elevation of homocysteine plasma levels is negatively correlated with LBM reduction and declining TTR plasma levels. 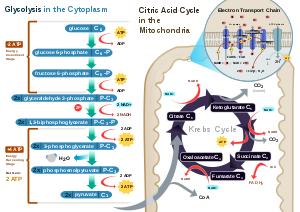 These findings occur as the result of impaired cystathionine-b-synthase activity, an enzyme initiating the transsulfuration pathway and whose suppression promotes the upstream accumulation and remethylation of homocysteine molecules. 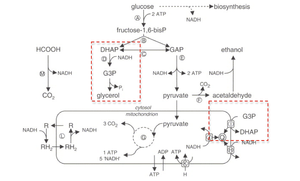 Under conditions of N- and S-deficiencies,the maintenance of methionine homeostasis indicates high metabolic priority.